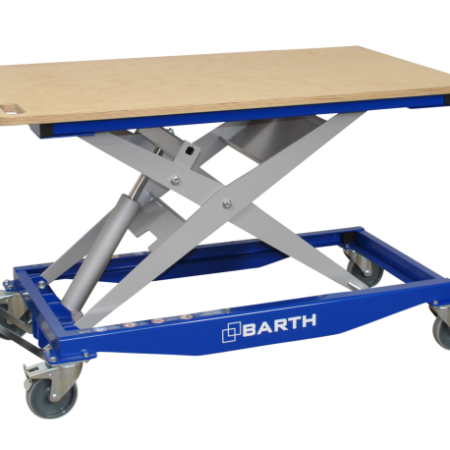 With our model overview of all BARTH lifting tables, you have everything quickly in view. Ergonomic work is not only economical. The lifting tables have a solid base frame, which, depending on the design, also safely carries workpieces of up to 500 kg. 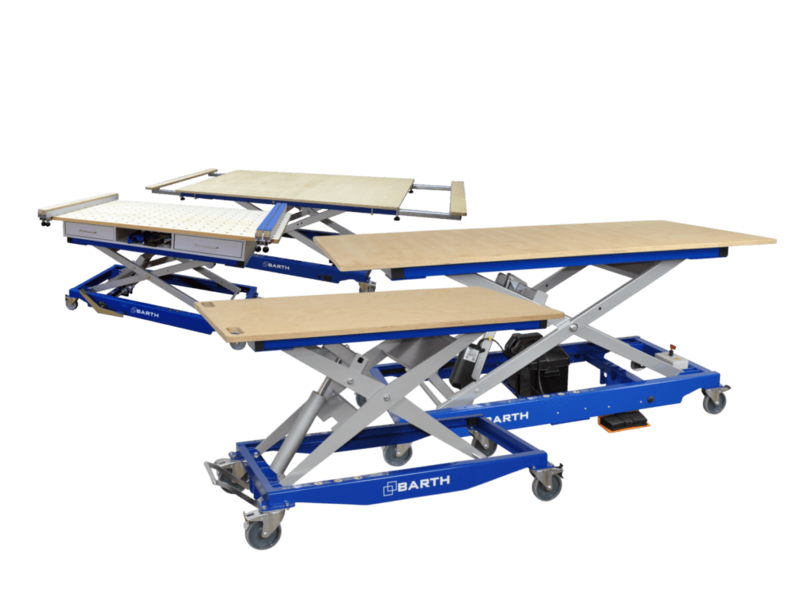 Our lifting tables have been developed for the practice and can be adjusted quickly to the desired height. 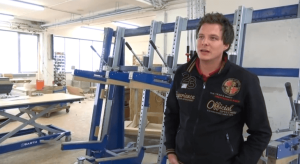 They follow the workpieces to every point in the workshop. 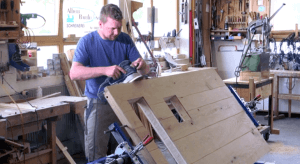 A lifting table as a work surface can be adjusted flexibly to the appropriate size of the worker. The position of the surface can be changed at any time by means of foot hydraulics, electric or battery-powered aggregates, so that people of all ages can work equally on high and low workpieces. 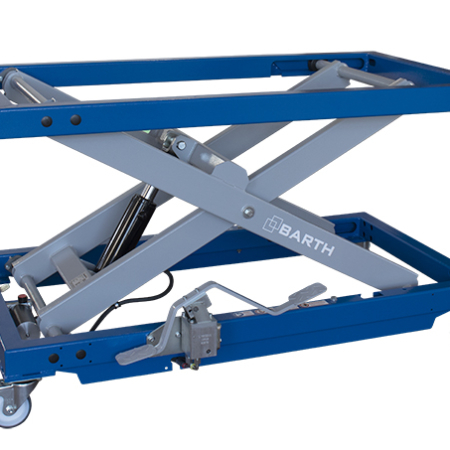 Lift table trolleys from BARTH Maschinenbau are built in three versions: The versions of the scissor lift tables 300 and 300 XL can be loaded with up to 300 kg weight. The scissor lift 500 has a lifting capacity of up to 500 kg. Through longitudinal and transverse extensions as accessories, the lift table can be extended individually to offer you even more contact surface – with maximum stability. Fixed castors and castors with brakes, pull-out, mounting frame, gallows and much more expand your lift table individually according to your needs – or the needs of your customers. 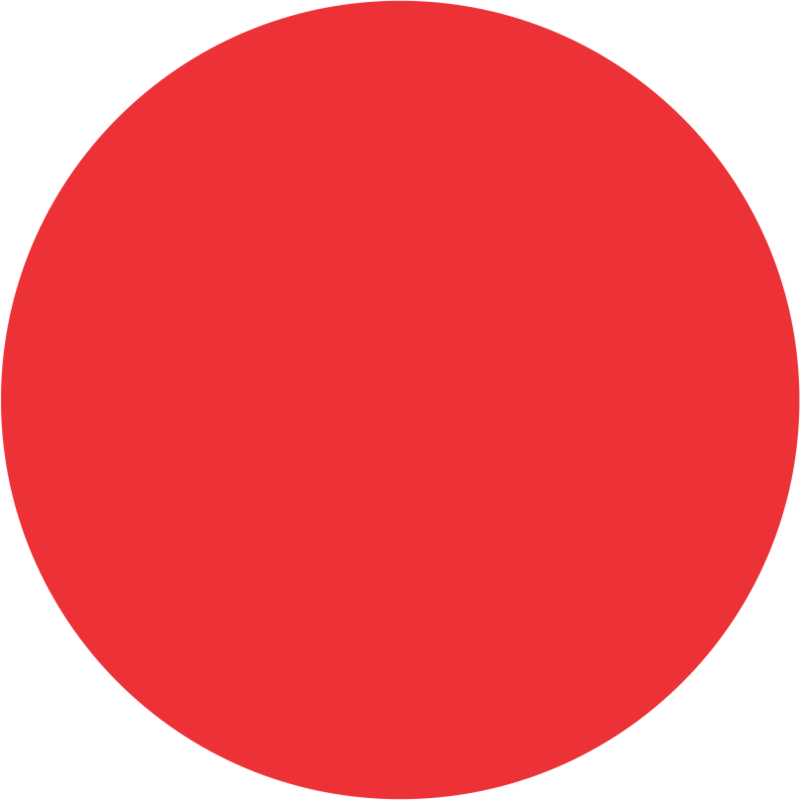 But a lift table not only means more comfort for you and your employees. It also has practical sides: its robust powder-coated frame with lockable castors and stable multiplex plate makes the lifting table a mobile tool storage, work table, rescue vehicle and flexible lifting and transport aid for heavy equipment. Optionally we deliver our lifting tables with perforated plate, on which additional clamping tools can be attached. 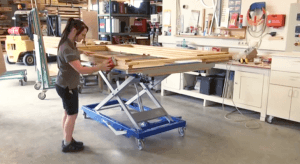 Due to the adaptable length and width, you can also ride the lift-table trolley through the workshop door to the outside or to the next door. 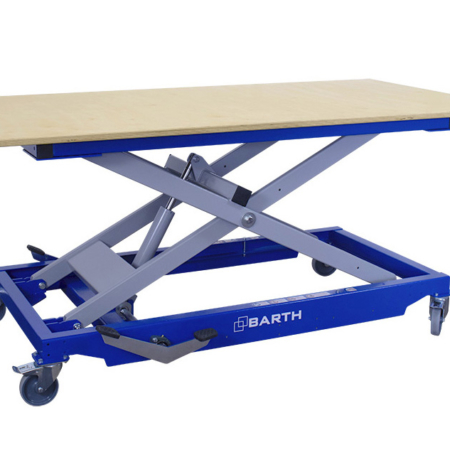 The ergonomics of a lifting table – in addition to a comfortable working surface – also ensure the success of your company: With the use of lifting tables, you will demonstrably record fewer illness-related failures – and thus minimize health risks. 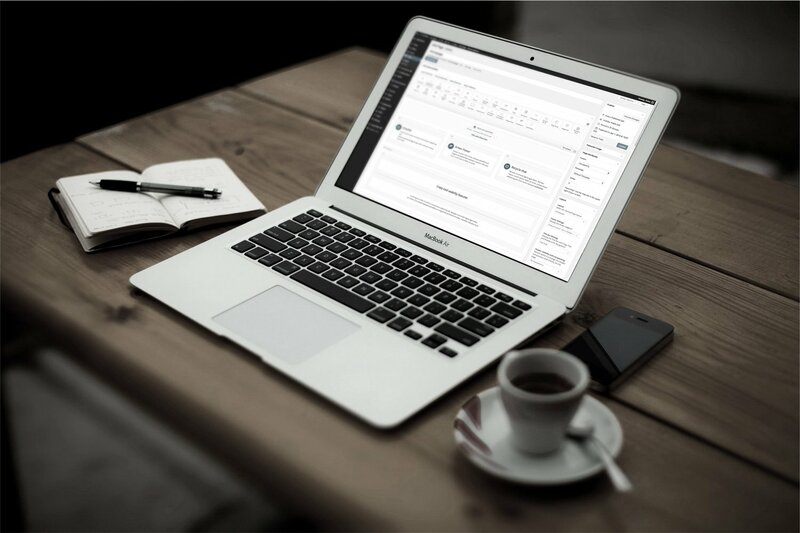 Individually designed workplaces also contribute to employee satisfaction and, incidentally, increase efficiency. 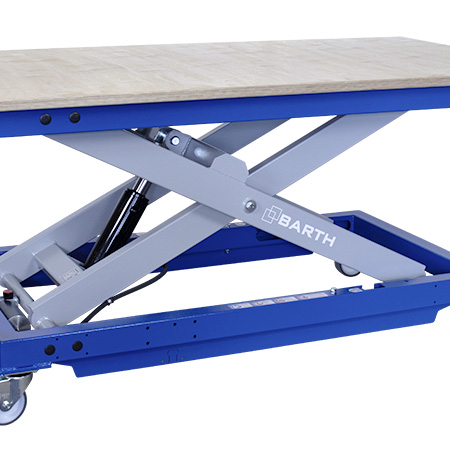 No matter whether you use your lift table or purchase it from us: With BARTH lift tables you are always in the right place!